One of the things about having so many allergies/ intolerances is that your life kind of revolves around the kitchen - you have to make everything from scratch & eating out & socialising ranges from difficult to impossible. My goal has always been to broaden my diet as much as possible, and as this happens I'm out more & don't want to spend all my time thinking about food/ cooking. 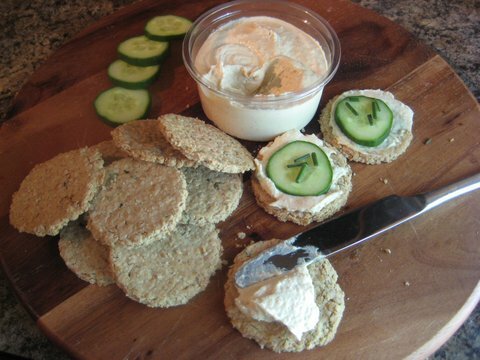 These are so easy to make & keep in a sealed container to have with soup or salad or perfect to take with you when you're busy & on the go. Often if I meet friends for lunch I have soup & because I can't eat the bread that goes with it I end up getting some crisps (or potato chips if you're in the US ;) - but taking some of these with me is so easy & keeps you going for much longer than a packet of crisps/chips - but at the same time they're a bit lighter than regular oatcakes because I've used some flour as oppose to 100% oats. 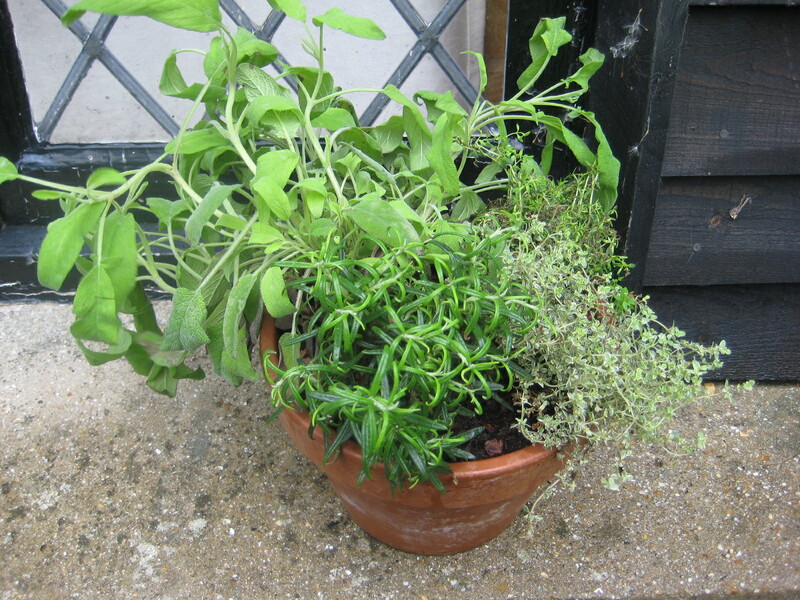 Ok, before we start I have a confession to make I bought this lovely pot of herbs as it was reduced to 99p! - however the label had come off, so I have to be honest & say I'm not 100% sure it was Thyme - it might have been Oregano. I know it was Rosemary though! 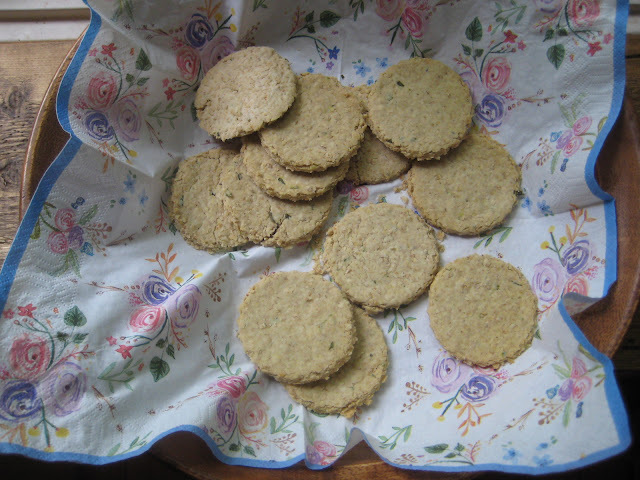 Anyhow, the first time I made these oatcakes it was definitely Thyme & Rosemary as it was before I got this pot - so the point being use whatever herbs you have to hand/ feel like. Delicious either way & the addition of herbs means they smell amazing as they're baking. 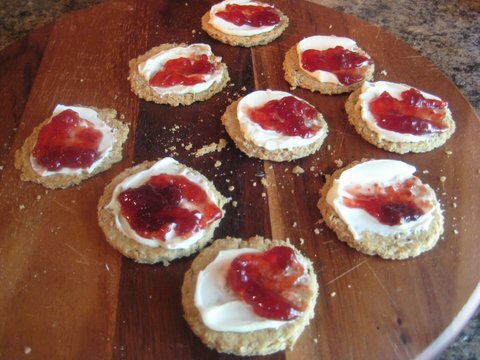 I got 18 oatcakes out of this recipe, but it depends on how thick you roll them & the size of your cookie cutter. 100g lurpak spreadable or vegan spread. 1 large sprig of rosemary and 1 large sprig of thyme. 2 take rosemary & thyme and remove the leaves from the stalks. discard the stalks & chop the leaves up finely. 3 mix the oats, flour & salt together. 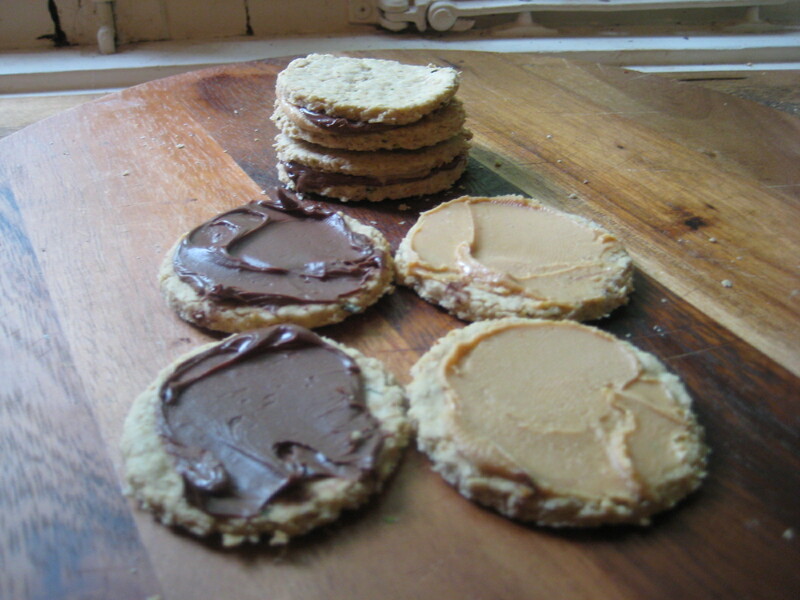 4 work the lurpak or vegan spread into the dry ingredients. rub it in with your fingers until the the mix resembles breadcrumbs. 7 transfer the oatcakes to a baking sheet ( I lined mine with grease proof / baking paper and - but if you don't have any you can lightly grease your tray with butter/ light olive oil or other oil of your choice). 7 bake for about 15-20 mins until they are have hardened and very slightly started to brown.